From the moment you find out you are having a baby you are bombarded with lists of what you should and shouldn't get. Some of the items are completely ridiculous and unnecessary whilst others are utter life savers. To help you navigate the sublime and the ridiculous I'm going to be putting together selections of my absolute favourite feeding/ cooking essentials which I hope you will find as useful as I have. Below are my top products for taking food out and about - whether its taking finger food for early weaning, a quick snack for a shopping trip or the daily nursery lunchbox smash and grab these products will make transporting and eating food so much easier and more enjoyable for both you and your children. If you haven't already got about 10 of these water bottles in your kitchen cupboard then you need to invest now. They come in super cool designs (grab one when you see it as they sell out fast- anyone seen stock for the mermaid one?! 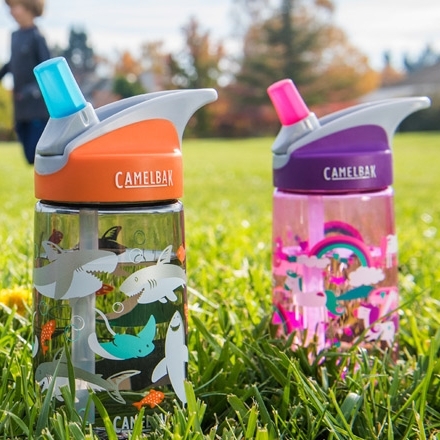 ), they are fantistically easy to clean and, this sounds ridiculous but, so easy for your kids to drink from that you will see a dramatic increase in the amount of water they consume once you give them one. They are marketed from 3+ but my second daughter has happily been using one since she was 9 months. These freezable lunch bags are fantastic. They fold up to the size of a paperback and can be popped in the freezer overnight - by the morning the sides are frozen and ready to keep whatever you need for the day chilled. They come in some wonderful designs- my daughter has been eyeing up the watermelon bag for some months now... and you can also get larger styles for family picnics or beach days -I just keep ours in the freezer at all times which means we are ready for last minute trips! Next month: 'My Essentials' will be looking at products that make food preparation for busy parents a little easier.